1. Make sure the sensor is fully charged. Connect the USB charging cable. The indicator light will be orange when charging and will turn off when fully charged. 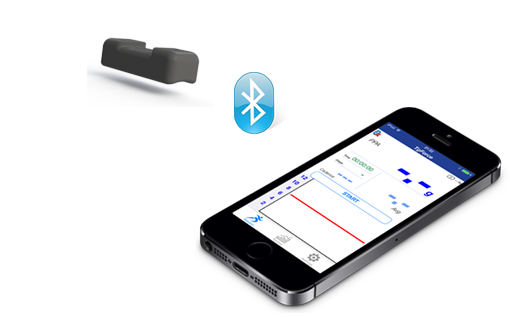 Begin by connecting the TgForce sensor to the companion App on your mobile device via Bluetooth. The sensor wakes up when it feels movement (The indicator light will flash red 5 times). 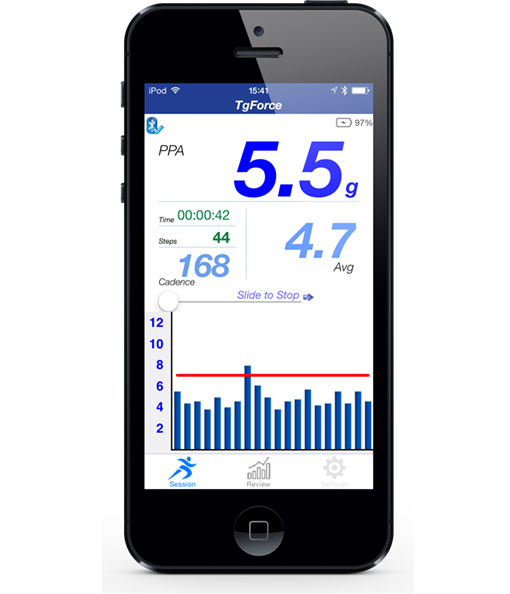 Start the TgForce App and you should see the sensor indicator light flashing blue 5 times to indicate successful pairing. (in front and toward the middle of the lower extremity). Important: The Visual indicator must be on top; the charging hole must be downward. Push the Start button on the app. 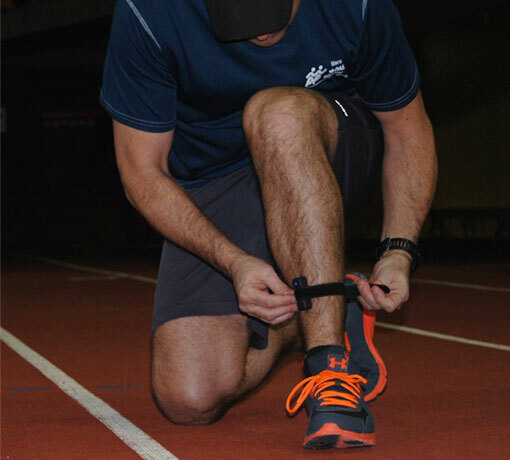 Once you start running, you should see Impact Data being received and displayed. If Audio feedback is activated (in the Settings menu), you will be notified in your earphone if the impact level is above the gMax threshold.